Judy Rosma of http://jarfullofjoy.blogspot.com/ offered me a challenge to tell seven things about myself. Yes, I am an New Englander. I was born so far north that I could have been french. I have two grandchildren--both boys. They are the delight of my life and I babyset them daily. I have always loved crafts but not like I am consumed by paper crafts. When I am not with the boys I am usually in my craft room. Even I learned something new here! Thanks for sharing Mom! Thanks Gloria! Mary also honored me with the Versatile Blogger award and I've posted my 7 things on my blog and passed it on! It was so interesting to hear about your family, I had no idea you were one of twelve children! I always wished I came from a big family! Don't forget to copy and paste the picture of the award that Judy gave you and post it on your blog! 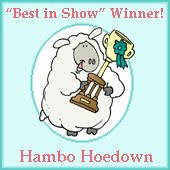 Well, this award is going around- I gave it to you and Theresa, too! :) Oh, well. Loved reading about your family!